Angela Lansbury is simply put – an iconic entertainer. Her longevity in the entertainment world is one that many can only wish for. Since the early 40s, this British-born American actress has been entertaining the world with her gift as an entertainer which she does across all three main platforms – stage, TV, and film. After years of paying her dues, Lansbury rose to great prominence in the 60s, thanks majorly to her part in The Manchurian Candidate. She has since never looked back and would go on to stage a career that has served as an inspiration to many budding entertainers. Is Angela Lansbury Still Alive? As of the time of this writing, Angela Lansbury is still very much alive. One would expect that an actor in their 90s should be retired but retirement doesn’t seem to be part of Lansbury’s plans. She is obviously going to be doing this acting thing that she so loves until the day death comes knocking on her door. As one would expect of an ageing woman, Angela Lansbury hasn’t been without health challenges, however, none of them has been strong enough to stop her from remaining active in the industry. Twice, first in 1976 and later in 1987, (that is around a decade apart), Lansbury had cosmetic surgery on her neck to keep it from getting broader with age. Upon the news of this, there were rumours that she also had surgery to enhance her looks to make her look younger but the actress would come to debunk them. The major health challenge that has plagued Lansbury since the 90s has been arthritis. As a result, she has had to undergo a couple of surgeries including a hip replacement surgery in 1994 and a knee replacement surgery in 2005. 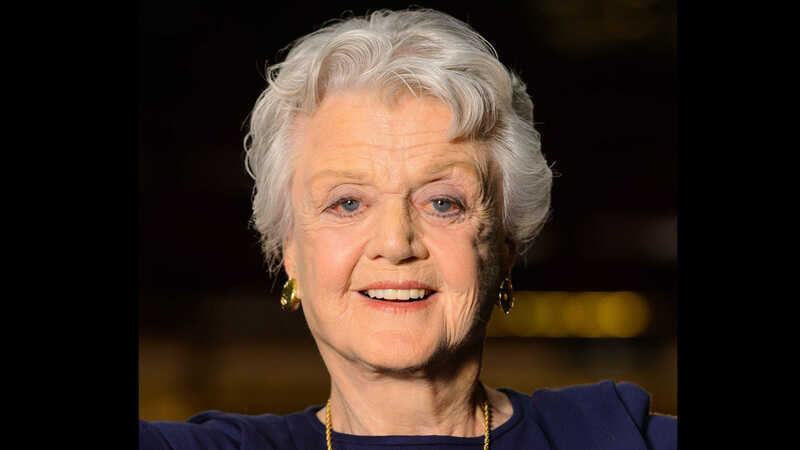 Having any kind of surgery at such an old age is enough to make many people call it a day on their careers but Angela Lansbury is clearly not among that lot. As recent as 2017 and 2018, Lansbury continues to act. She had a role in the 2017 miniseries, Little Women and the 2018 film Mary Poppins Returns. For Angela Lansbury, it is not over until it is over! With an illustrious acting career that spans decades, Angela Lansbury has been able to make a fortune from the entertainment industry. Though she has appeared in a number of screen projects, Lansbury seemed to have recorded more success in the theatre which one would speculate was also her biggest money maker. She has won 5 Tony Awards and 6 Golden Globe Awards. Her fortune earned over the years has been pegged at $70 million. Angela Lansbury has a total of three children including one step-son. Her 54-year marriage to the love of her life – Peter Shaw, to whom she was married from 1949 until his death in 2003 brought her two biological children – son Anthony Peter who was born in 1952 and daughter, Deirdre Ann born 1953. Lansbury’s other son David is one she acquired from Shaw’s previous relationship. Sadly for Lansbury, her both biological children lost their way when they were barely in their teens, something she blames partly herself as she went right back to work after birthing them. They both got caught up with the countercultural movement of the 60s and began abusing drugs. Deidre even got herself involved with the Charles Manson cult. Deidre only got herself unhooked from drugs in the early 70s, a period when their mother had relocated with them to Ireland so they could be far from the crazy Hollywood lifestyle. She turned a new leaf and would become married to a chef with whom she began an Italian restaurant business in West Los Angeles. Her son Anthony also got clean and became a TV director (now retired). He worked with his mother on Murder, She Wrote which is one of Lansbury’s most successful work. Anthony is now married with at least three children including two sons and one daughter. Is She Related To Bruce Lansbury? Yes, Angela Lansbury is related to Bruce Lansbury. Bruce who is now late was her younger brother. He was born as a twin (his twin brother being fellow TV producer Edgar Lansbury) on the 12th of January 1930 and passed away on the 13th of February 2017 after years of battling Alzheimer’s disease. He was aged 87. Bruce, unlike his sister, worked behind the scenes as a producer and screenwriter. They worked together on Murder, She Wrote several episodes of which he produced.